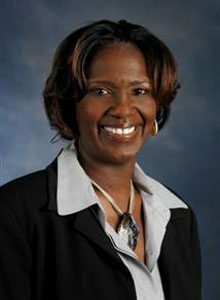 Paula Huntley serves as study abroad director at GSU-CIBER. Over the years, Paula has accumulated substantial experience in project management and budget administration. She also assumed responsibility for administering federal grants such as the Business and International Education grant from the U.S. Department of Education. Since 1997, Paula has served as the principal resource person for administrative affairs for the Institute of International Business. She was instrumental in the start-up of a joint degree program with Cairo University in Egypt. Her responsibilities include advising students on Robinson College’s study abroad programs, external grant management (NIH- and USAID-funded) and departmental administration. During the past year, more than 200 students participated in various study abroad programs for which Paula played an integral part. Paula earned her bachelor’s degree in English and education from Colgate University. She is a member of the NAFSA, Georgia State University’s Leadership Academy for Women; Advancement of Women; and Phi Beta Delta, an international honor society. Paula has also served on a number of committees such as Georgia State University’s Staff Mentoring Committee, Robinson College of Business Dean’s Search and Robinson College of Business Managers Group. She has received the Robinson College of Business Customer Service Award for outstanding service to GSU students and the community at large. Paula enjoys working with students and assisting them with their international education needs while she continues to oversee the administrative operations of the Institute of International Business.